to the custom for the player model and weapon model to have changed. To install, simply put the TOW folder in your addon folder. You may need the Unofficial 1.3 patch to play. To play, simply select any of the stock land map missions in the game. other ways, and fixing bugs. Please report bugs that aren't listed above if you notice them, all the other feedback is encouraged as well. It's a very nice mod, although I think it needs more weapon choices, like the Magna Guards' rocket launching weapon and the shotgun like weapon used by the rebel smuggler. Maybe some melee weapons as well, for the Imperial Red Guard or Magna Guard. Also I noticed the sixth unit was removed, so that there are no units like Droidekas or Jet Troopers. In addition, using the Jet Trooper skin doesn't give you the ability the fly, despite the fact the jact pack is present on the model. Thanks for the feedback. More weapons are already in the works, including the rebel shotgun as well as some new weapons. I wanted to add melee weapons but I've had trouble with that so I don't think I'll be doing that. Jetpacks also caused a problem so I decided to not make them a customization option, the jettroopers are not supposed to be able to fly. 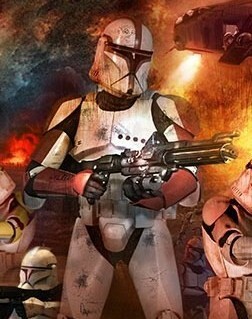 The 6th unit and officers were removed to stick with the simpler class system of the original battlefront, with the custom unit replacing the special unit.